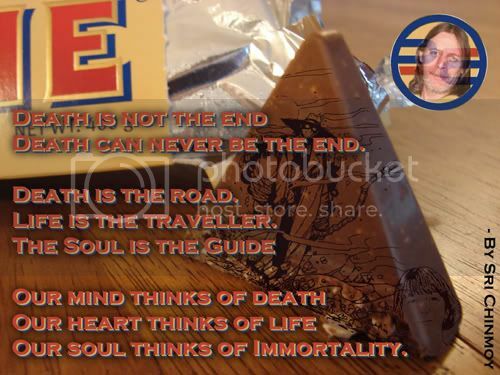 A Toblerone Toast to the One and Only Splodge! Love the portrait of Splodge on your monitor in the background, Grefix! RIP Splodge! you'll be truly missed! here's to you splodge..i'll miss you. 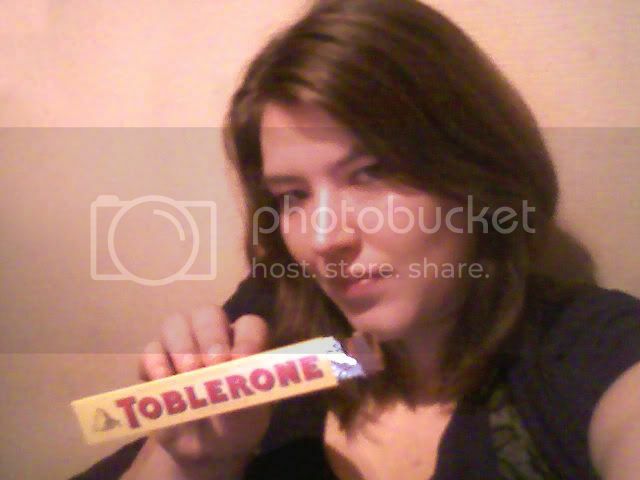 You surely deserve a huuuuge bigass toblerone bar but i could only find this little one. I once snail mailed Tobelerone to Splodge at Hallcross. Addressed simply Splodge. Damn postage cost more than the stinkin' candy, but it was worth it for me to do it. He didn't get any for Christmas that year and I think getting some from nancers made him smile. At least I hope so. That's such a great story, Nancers. From one Viking to another, "heres iz to yoo Norsesplodge"
Put all the ingredients into a shaker with ice and shake shake shake! 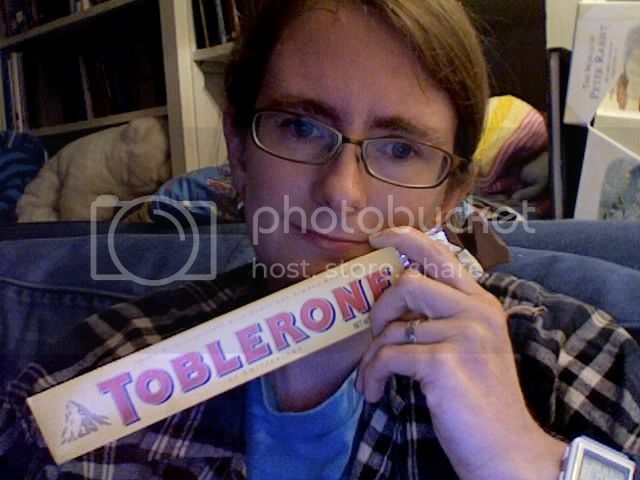 Garnish with a crumbled Toblerone. Raise your glasses and drink " To Splodge". Lot of wonderful contributions here! Anyone who wishes to sign and add his thoughts to the PSC card please follow this link.